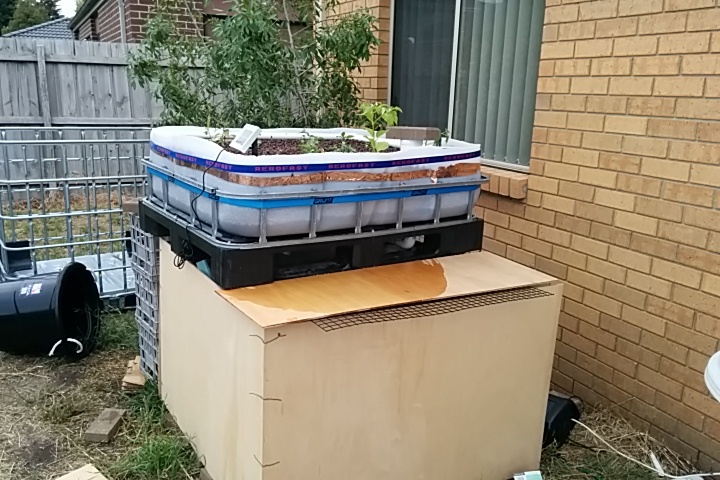 Backyard Aquaponics • View topic - does anyone know anything about this additive? does anyone know anything about this additive? Post subject: does anyone know anything about this additive? I came across this http://www.splosht.com.au/ while looking for the best idea for my current pea soup. Cant seem to find much info on it. With regards to my pea soup, considering barley straw or getting a UV filter of some sort. Though this does look interesting. Fish seem happy enough in the pea soup atm. Post subject: Re: does anyone know anything about this additive? 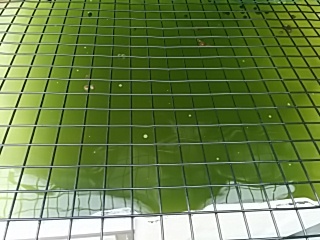 If the water in an aquaponic system looks like pea soup then you need to determine why... rather than add another unknown into the system. A well designed and balanced AP system should have clear water. 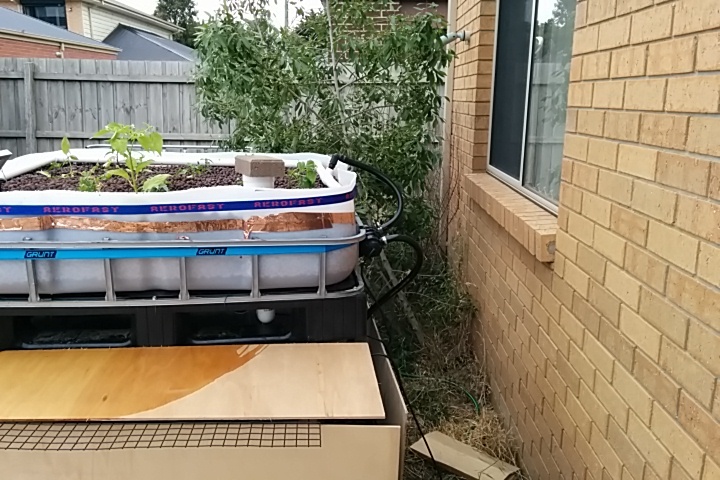 - Grow bed/s gravel capacity. - Total system water capacity. - Type of system, ie: Siphoned or timed flood and drain, constant flood etc. - If any, how many fish in system, what size and how long they've been in? - Is the system cycled... if so, how long? - Current pH, Ammonia, Nitrite, Nitrate and max daily temp readings. - How often you're feeding and what? ...also some pics of your system, then someone may be able to help with your pea soup. Yeah, Ark, as Mr D. indicated, you've given us your proposed solution without giving any indication as to what may have caused your problem in the first place. Answer the above questions and the experienced contributors to this forum will be able to narrow down your problem and give solutions (usually ones that don't involve more chemicals). I noticed the product grows and competes for Nitrates and Phosphates. Might be a problem for your other plants, not just the algae. there were 24 fish in there, 16 silver perch, 4 tandanus (all fingerlings about 4-5cm) and 4 goldfish. My first goldfish died last night, looked like it had been eaten half way through. System was cycled with 4 goldfish for a week only. Perch and catfish been in for a week now and been using stability additive in recommended levels. Was feeding every day. Did not feed last night. The fish food i have been using was supplied from Glenwaters. I do not know whats in it. So this weekend, i will be constructing an outer shell to increase the shade on the tank. Likely from marine plywood and shade cloth. Also thinking of adding a separate 95L tub as a duckweed and maybe shrimp tank. Later this morning im also going to go out and buy a decent electric air stone, as the solar one i put down seems to do nothing. Additionally, in the GB, i have 9 varieties of chilli, some misc herbs and tomatoes. Cover the FT and GB to stop light on the water would be the first thing. Water looks like it is affected by algie. Do not add any aquarium products as they are not made to use in systems where you are eating the product. Water up to one inch below GB surface, to me four inches seems to low. In a new system the pea soup stage is normal I think the main thing you need is more patience. As you continue to feed small amounts the ammonia will increase and then you will start to see nitrites and you will know that you are progressing through the cycling process. Also the amount of filtration you have may be fine for now but as the fish get bigger you will want 6 times as much. I am talking cm, not inches. 2.5cm to an inch. im going to need 1800 litres of expanded clay? that sounds like an awful lot. You have 20 fish that will eventually get big. Lets say 500g before you start eating them. That is a total of 10kg of fish. So in retrospect you might not need 1800L but I'd be recommend a minimum of 1000L. The rule of thumb is a 2:1 ratio of GBs to FT. which is why I said 6 times because that is roughly double one IBC. That rule is for a stocking density of about 20-25kg/m3. Since your stocking density will be half that when the fish are grown you could get away with less. so far today, added a dual stone air pump and covered the entire tank with marine plyboard. Also purchased an inline UV filter which i will add later hopefully. 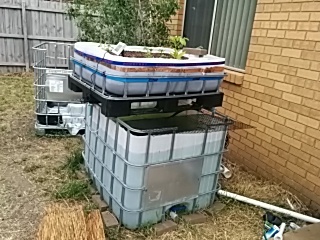 Now you just have to sit back and wait..... Stop feeding, or at least cut it right back until the algae clears, it will eventually..
todays efforts - purchased some marine grade plyboard, tried to staple it together - realised my staple gun is too shallow, so stapled wire and connected it. Its not pretty, but it works. Tomorrow, or next week, or when i get energy, i will also add some shade cloth, or paint it. Side mounted uv filter. it leaks about 1 drop every 10 minutes. will try to fix that tomorrow. i had really dirty green water like that when i got back from holidays. I covered the ft with 2 layers of shade cloth. Took about 2-3 weeks but now the water is crystal clear. No extra filters etc required.